Looking for ranches for sale in Montana? Want To Be A Montana Cowboy? constitutes a ranch? In the world of agriculture and real estate, farms and ranches tend to be lumped together. There are slight differences, primarily having to do with livestock: a ranch is defined as a large farm with cattle or other animals being bred and raised, while a farm is designated as a place raising a specific crop or animal. A ranch, to most people, conjures up a vision of a cowboy herding or branding cattle while the typical farm image is a tractor: A ranch equates to romanced fun while a farm is associated with work. 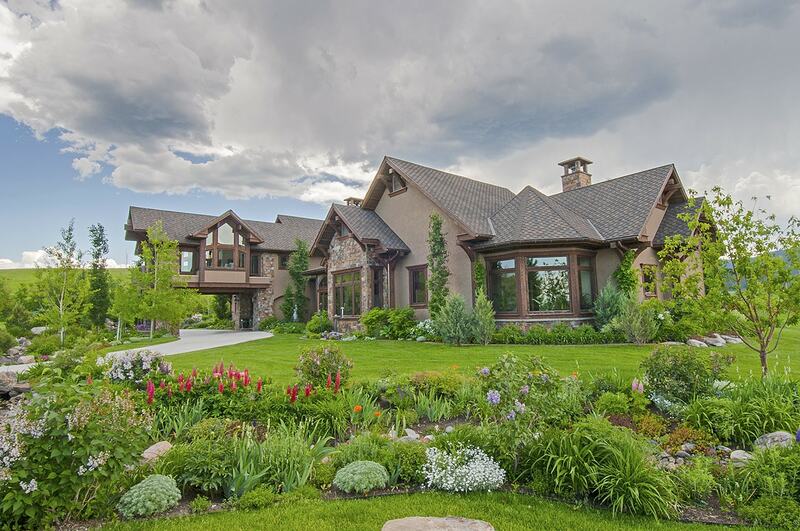 CLICK HERE for Ranches FOR SALE in Montana. Montana, with just over 93 million acres of land (145,552 square miles), is a big state—4th largest in the nation. We are the third least dense state, which is measured by the number of people per square mile. Out of the 93 million acres of land, 34 % of the land is publically owned while 60.7 million acres are privately owned. Of the privately owned land, a whopping 59.8 million acres are classified as either farms or ranches. In other words, 64.2% of Montana is on farm and ranch lands. Under 2% of Montana land is taken up with cities, towns, small acreage developments. We rank second in the country for ranch and farmland, just behind Texas. Agriculture is the number one industry in Montana—not tourism as some folks think. And cows are at the very heart of the business. Montana has deep roots in cattle, going back to the 1850s when the first herds were gathered (go watch Lonesome Dove again). In 1884, the Montana Stockgrowers organization was founded and by 1885 they were pushing “Cowboy Legislature.” Today, fully 2/3rds of Montana’s agriculture involves livestock, with cattle at the top. Montana ranks as the 10th largest cow/calf producers—also known as “seed stock.” There are 2.6 million beef cattle in Montana—roughly 2.6 cows for every person in the state—and 18,000 dairy cows. Each dairy cow conservatively averages 16,833 pounds of milk a year. Approximately 40 million gallons of milk is annually produced in Montana. Sheep and lambs are also big business, with Montana having the 7th largest sheep population in the country. Sheep vastly out number dairy cows, with 215,000 sheep per latest figures. To put this in perspective, there are more sheep than the combined human populations of Billings, Bozeman, and Missoula. Horses are more difficult to track, but the best estimate is 180,000 horses throughout the state. An interesting sidebar is Montana’s wild horse population. The Pryor Mountain refuge, established in 1968, has 31,000 acres set aside for the very distinctively marked wild horses thought to be direct descendants of “Colonial” Spanish horses. and ranches produce crops for both animals and humans including wheat, barley, hay, grains, legumes, and sunflowers. Tending these crops qualifies you as a farmer! However, farming and ranching is an aging population. The average Montana farmer or rancher is 58.9 years old. The younger generations are increasingly moving off the land, making rural workforces harder to find. In the last decade, the trend is for larger Montana ranches and farms to grow into mega-operations, acquiring more land due to economic necessity. To justify and afford the modernized equipment required for production, operations must grow. The most popular combine today costs $425,000. Smaller farms and ranches can no longer compete and are getting sliced into smaller acreage as land values outstrip what the farmer/rancher can earn working the land. Montana was originally a homesteader state, with 160-acre tracts being the norm granted to a qualified homesteader. In more urban and populated areas, the majority of homesteader tracts have been subdivided. Zoning laws for land sub-division vary from county-to-county and are increasingly driven by water rights. Twenty acres is where the line is drawn as a 20-or-more-acre parcel qualifies the land as being agricultural, with property tax benefits. In real estate, we often refer to a 20-acre parcel as a “Ranchette.” It is appealing to out-of-state buyers to own their own Montana ranch, especially if it is a mountain ranch, close to a community, ski resort and/or fishing river. Views and live water are always on the “Want List.” Buyers often begin their journey to Montana land ownership by first visiting one of Montana’s ski resorts, National Parks, a Dude Ranch, or enjoying a family vacation at one of Montana’s agri-tourism ranches. There are numerous working ranches that have set up facilities and activities for paying guests to experience herding cows, riding horses, driving a tractor, and even weeding a vegetable garden. We have plenty of listings for ranches for sale in Montana. Montana’s scenic landscape, wide open spaces, outdoor activities, public lands, and sense of freedom all add to the allure of owning a ranch here. Montana is the last best place, and being a cowboy is ingrained in American culture. As more and more people flock to Montana and purchase a farm or ranch, the flavor of ranching will change. Eric Sommer, the director of Montana Department of Agriculture’s ag site recently said, “Five acres and a couple of horses qualifies as a farm.” That’s quite the contrast from the 358,837 acre Montana ranch owned by Farris and Dan Wilks. But, technically, farm and ranches are qualified by animals and crops, not acreage. Montana’s domestic animal population is greater than humans, and choice farm and ranch land is still available. You, too, can be a cowboy. We have plenty of ranches for sale in Montana. Call us today or see more listings HERE.